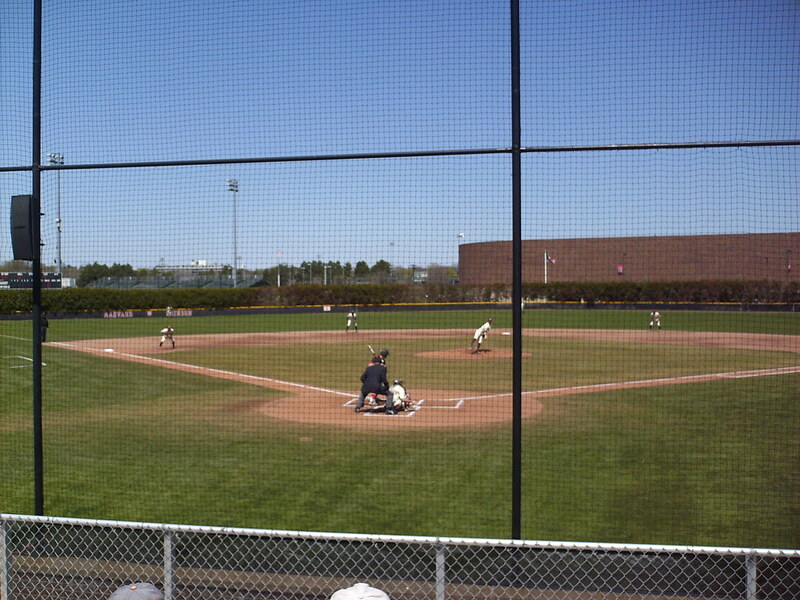 The view from behind home plate at O'Donnell Field. 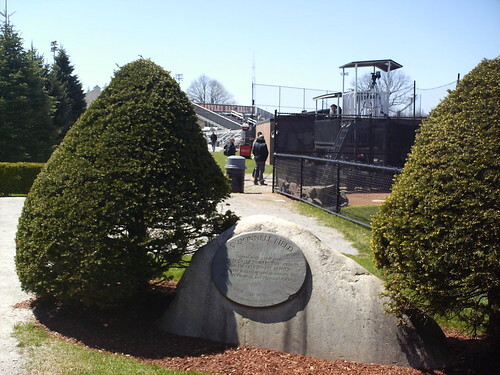 The main grandstand behind home plate at O'Donnell Field. 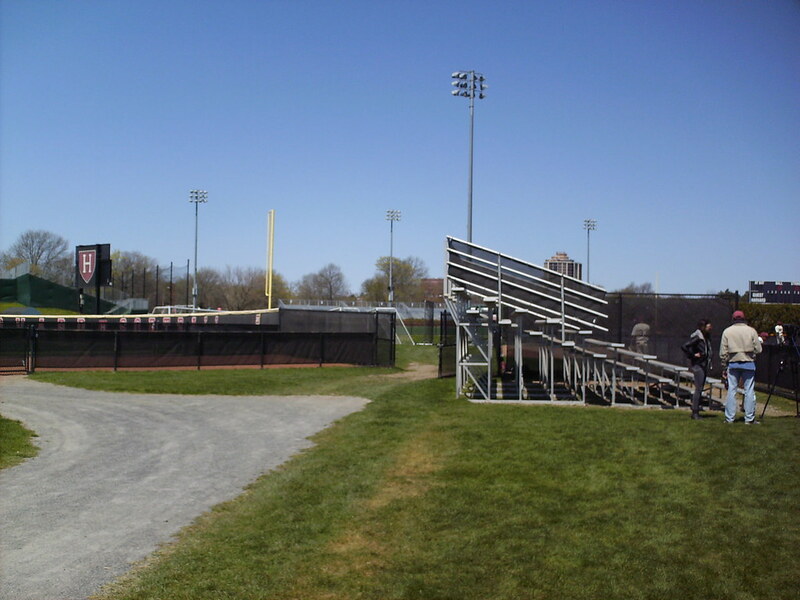 All of the seating at the park is aluminum bleacher seats. 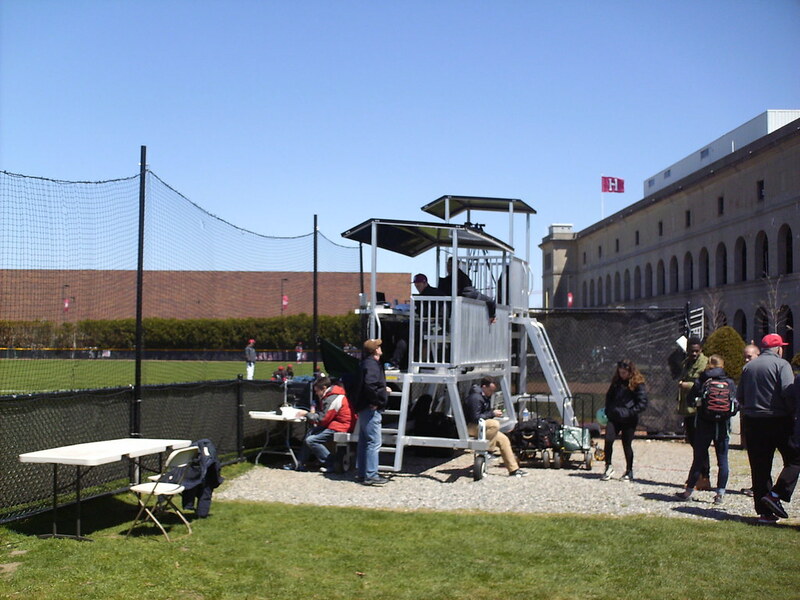 The pressbox is a separate structure, a small perch along the first base line. 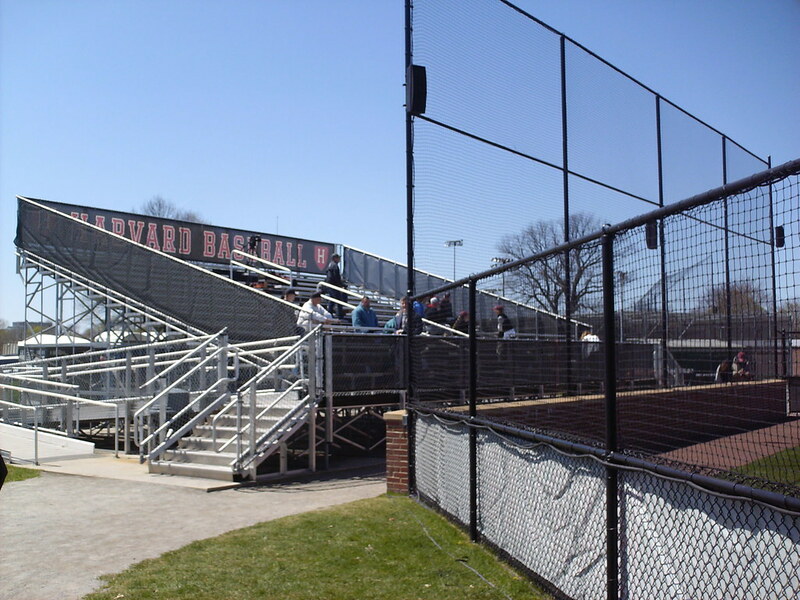 More bleacher seating is located next to the Harvard bullpen in the right field corner of the field. 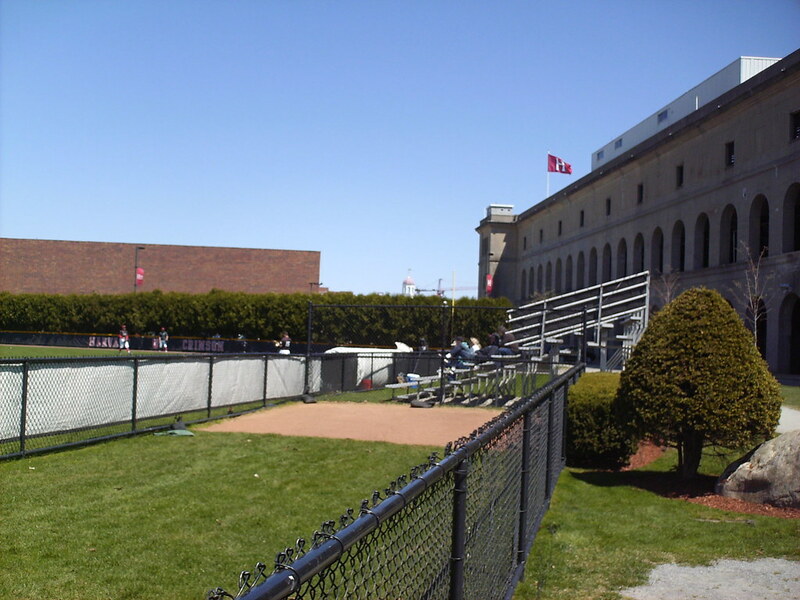 Additional bleacher seating in the left field corner sits adjacent to Soldiers Field, Harvard's softball stadium. 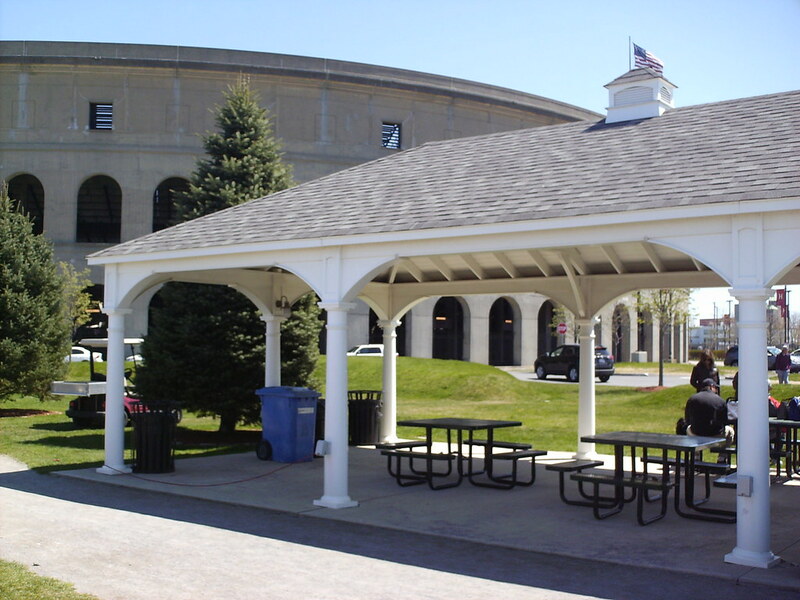 A covered picnic pavilion sits behind the first base dugout. 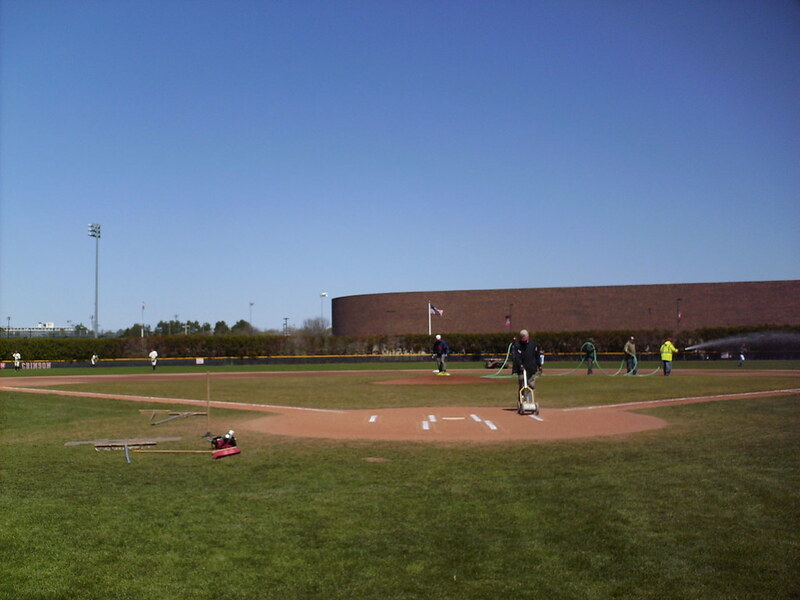 The grass behind it is raised up as a berm for fans to use to overlook the field. 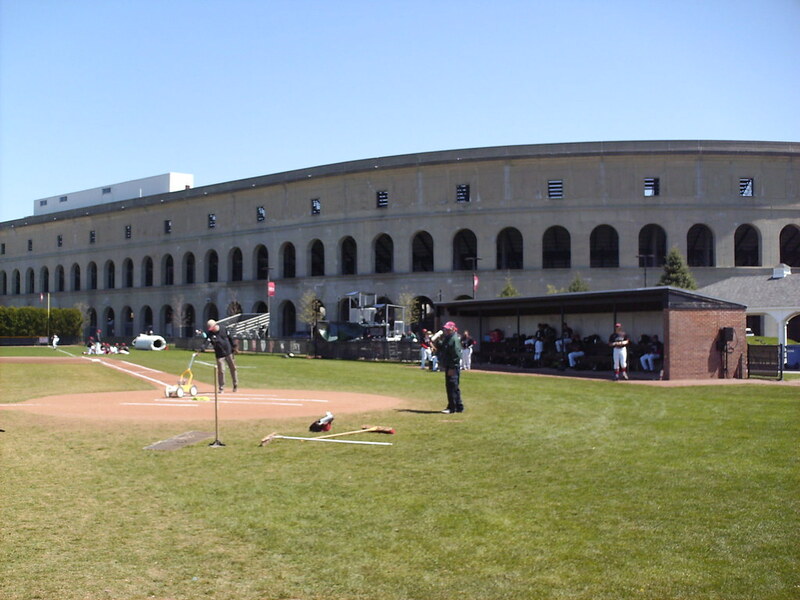 Harvard Stadium, the school's historic football stadium, towers over the ballpark on the first base side, providing a unique backdrop to a game at O'Donnell Field. 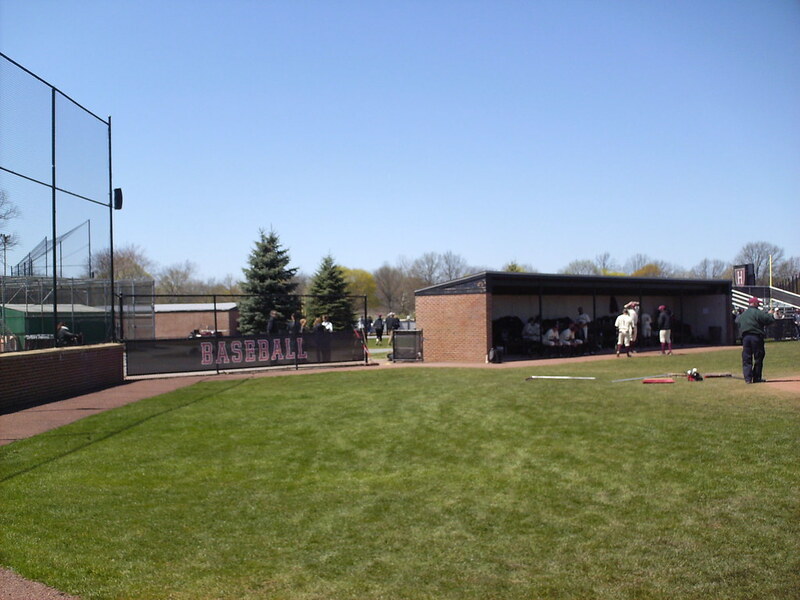 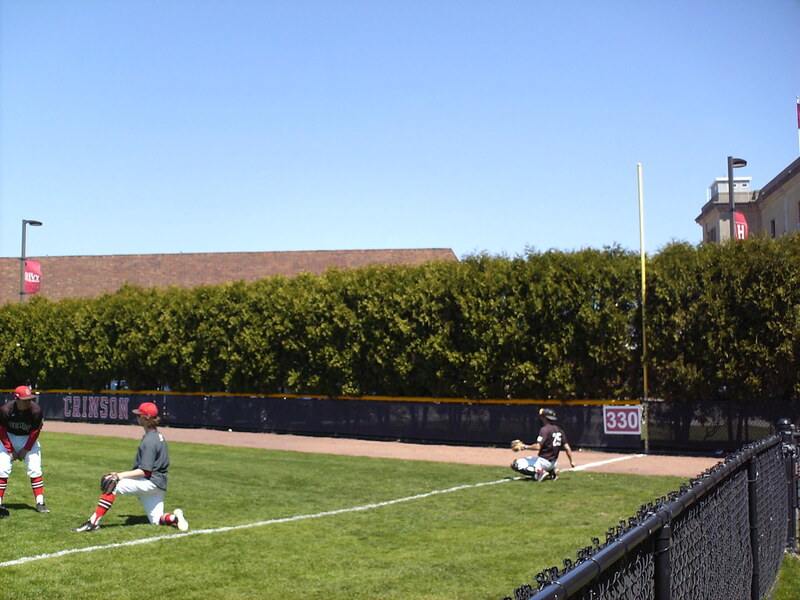 The dugouts are brick structures at field level. 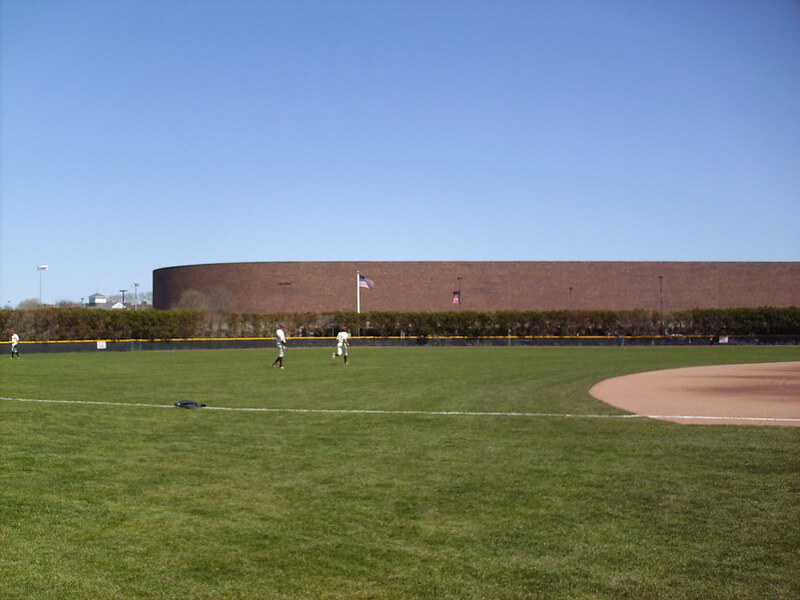 The outfield wall is a fairly short chain link fence, with shrubbery behind it that extends out into the field of play. 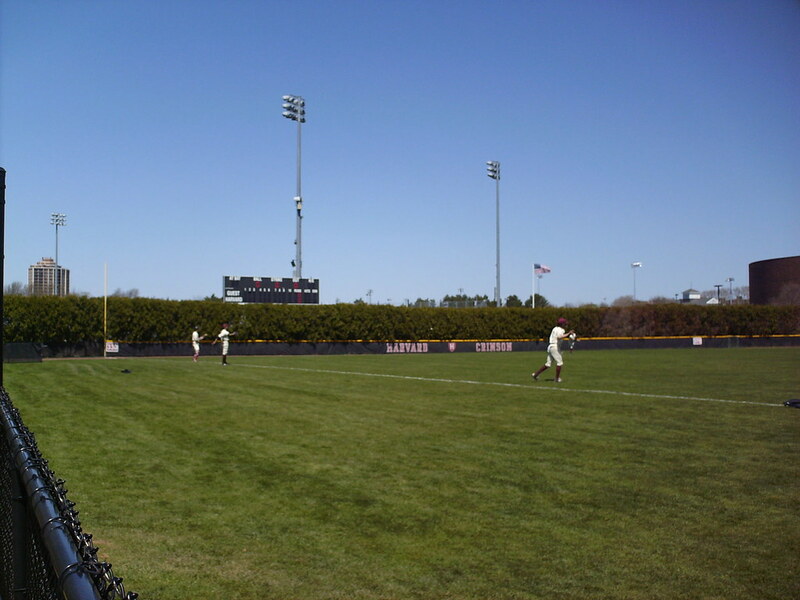 The scoreboard sits above the shrubbery in the left field corner of the park. 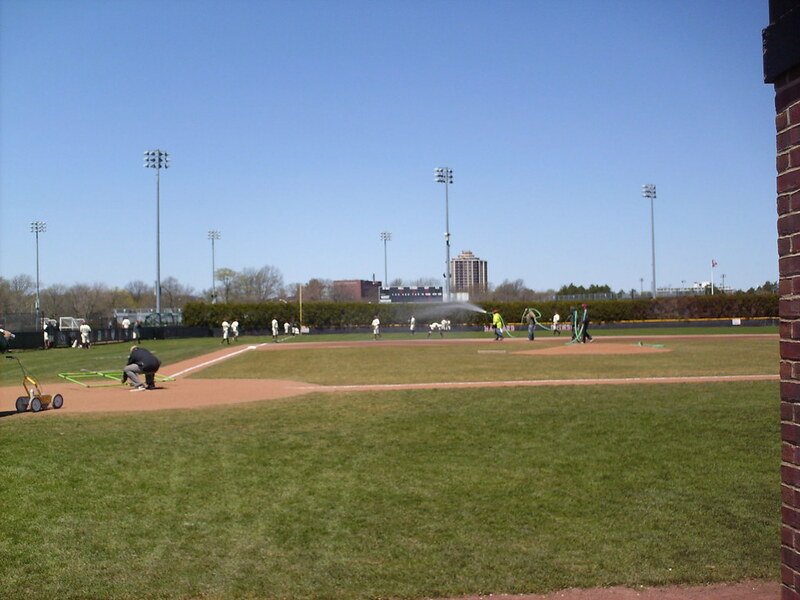 The Harvard Crimson on the field during an Ivy League game at O'Donnell Field.